Oxford fabric exterior with a fashionable style. White fluffy fabric lining for bump and shock absorption and protection of your computer from accidental scratches,feel exquisite and comfortable. 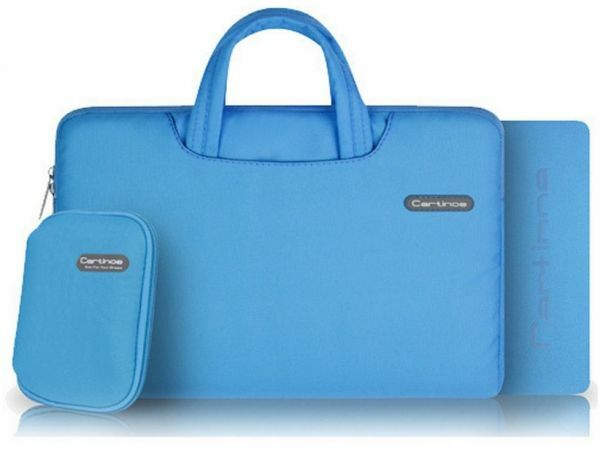 Top handles of the case enable you to carry your laptop in comfort, and can tuck away in the pockets when not needed. Nice design, color, and feel. Quality product. You get the charger pouch mouse pad.